Open 60-obsessed Ronnie Simpson gave us his look at the IMOCA fleet on Friday; Ryan Breymaier gets into the rest of the fleet below in a great ‘insider’ view of the Transat Jacques Vabre fleet, which is now postponed until at least Thursday with yet more nasty depressions battering the Atlantic. Remember to get in touch with Ryan’s Project USA if your company is looking for a new way to get some prime exposure, or some of your or contacts might be interested in helping fund his Vendee Globe bid. TJV thread is over here if you want to talk about the race. The TJV start in Le Havre has been very similar for the last several years. Rain, with periods of clearing, windy, and squalls of hail. In between dodging hailstones, there are plenty of interesting boats on display, attracting huge crowds of French fans (mostly there for the crepes and pommes frites with a celebratory beer at the end of a lap of the huge basin), directly in the center of town. The fleet this year includes 2 MOD 70s, 6 Multi 50 trimarans, 9 IMOCA 60s, and 25 Class 40s. While the other classes are interesting in their own right, the 25 strong class 40s are the most interesting, with a large variety of designers and boats. They are also interesting because they represent the type of boat that most of the SA readers would have the easiest chance of getting involved with. In a mirror of the situation facing the class today, the easiest way to have a look at the 40s is to split them into the pro teams with experience, boats and budgets allowing the possibility of a podium, and the largely amateur teams who are there to participate, but who either are missing one of the three factors above to get on the podium. Campagne de France is perhaps the closest to the original spirit of the class. Halvard and Miranda live aboard the boat much of the time, while still keeping it in pure racing trim, and have a very limited budget. The huge experience of the two skippers and the careful tuning of a very strong boat keep them in the leading pack. Concise 8 is the newest boat in the fleet, and its two young English skippers will be giving it their all to be first to the line in Brasil. Ker’s first Class 40 design is notable for its huge batwings on the transom corners. This feature is taken from the latest generation Volvo 70 designs as a way to dodge the average freeboard demanded by the rules, as well as creating a better sheeting position for the gennakers. The lower CG created by getting the freeboard down and the ACC style interior structure have allowed the Concise team to create a very powerful hull shape, which should, if they can keep it together for the first couple days of the race, stand them in good stead on the way to Itajai. Teething troubles in a variety of areas have hampered their sailing days pre race, and Ned and Sam have been feverishly working to be in good shape come start day. Dunkerque-Planete Enfants is the first example of the latest Verdier series design, the Tyler Evo 3. Bruno Joudren and Thomas Ruyant are two very accomplished Class 40 sailors, and the Tyler is a great boat from French open designer Guillaume Verdier. This boat is capable of winning the TJV, with perhaps a slightly easier passage through the waves than the Mach 40, which is the favorite of most observers. The roof also offers significantly more protection than the Mach, which should allow the skippers to spend a bit more time outside monitoring boatspeed. Skipper Seb Rogues has taken the experience of the first two Mach 40’s and tried to improve on it with his GDF Suez He has taken the same hull as Mare, moved the keel aft a little, added a bit more rake to the mast, and has eliminated the central winch, island and twin companionways in favor of just 2 winches on each side deck, with all lines lead around the roof through friction organisers. He has also gone for a classic swept spreader rig, eliminating the controversial adjustable headstay and straight spreader rig that the two first boats featured. His boat also lacks the kick up rudders of the first two; a lighter solution, but possibly a race ending choice in the event of a collision with debris. Mare is the Mach 40 of German skipper Jorg Reichers and Pierre Brasseur, an excellent mini and Multi 50 sailor. This is the most successful Class 40 of the last several years, with wins in the Solidaire du Chocolat and Atlantic Cup [which Ryan was aboard for -ed], as well as a second in the Quebec St. Malo. While not underestimating their skill and will to win, Jorg and Pierre have their work cut out for them against the other top boats, as Jorg’s concurrent IMOCA 60 campaign has taken much of his time and resources, while the competition has been training hard and working continually on improving their boats. Last but certainly not least is TALES Santander 2014, which combines the first effort off the drawing board of Marcelino Botin with a deck including a carbon copy of the Mach 40 cockpit. This is intentional, the team came to the Solidaire start in 2012, and found the layout which they felt was the most ergonomic and efficient, and used that as a basis for the new design, having been new to the class. An immaculate build, strong team, and great pedigree saw them far ahead of most of the fleet in this years Fastnet, with only Suez able to keep up. In fact, they beat a custom IRC 46 to the rock upwind! One to watch for sure. These boats all have a great chance of being on the podium; the designs are all similar enough to keep up with one another, and the pre race preparation and skill of the skippers in mitigating problems along the way will be the deciding factor in the final rankings. The two most interesting things I have seen in the Class 40 were the electric motor in ERDF – Des pieds et Des mains (see pic). 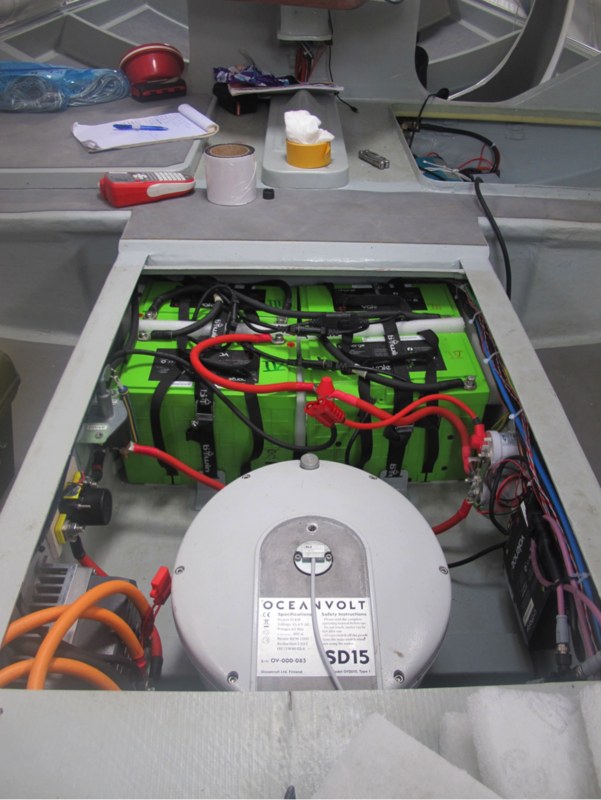 The motor is the white Oceanvolt cylinder in the middle, and half of the 8 green batteries are visible in front of it. It produces the same power as the diesel it replaces, and with the batteries, weighs the same. 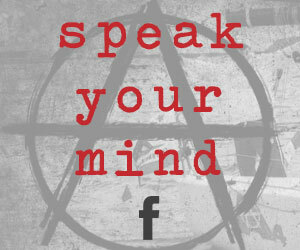 It is recharged at the dock, and is nearly silent in operation. It can be recharged by hydrogenerator or solar panels, and actually can recharge the batteries itself while sailing. Obviously this is not done while racing as it produces significant drag, but is perfect for deliveries. Best of all a lower center of gravity, and no fooling around with diesel tanks. 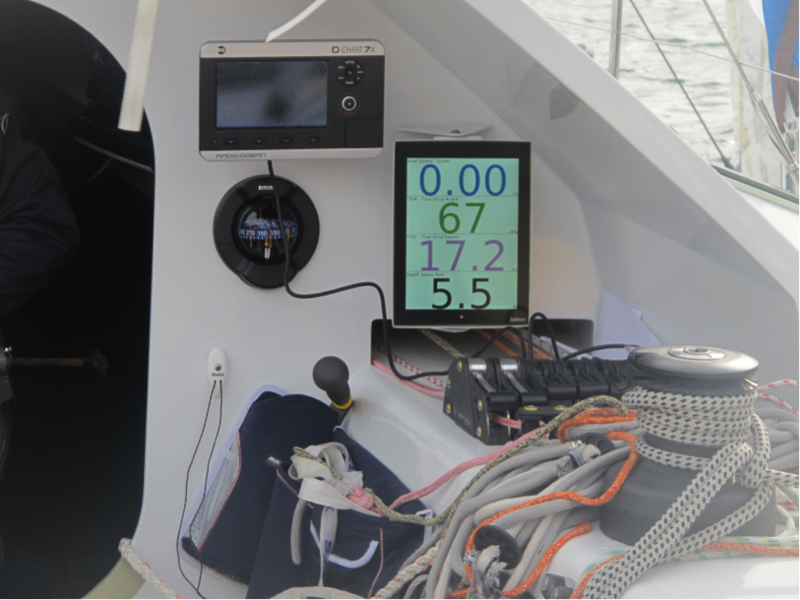 The displays look like Ipads but are not, and can change colors for night sailing, they are hard wired only for power, and the data transmits wirelessly. They can take input from any NMEA source, and have their own dedicated brain. Power drain is 1amp at 12 volts per display. More at Sailmon.com. As for the multihulls, the TJV start in Le Havre showcases the best of the French offshore scene for this year, with the notable exception of a couple MOD 70 teams who are recovering from capsizes. Remember that the MOD 70 is not really designed for shorthanded sailing, and a few modifications have been made to the two remaining boats to keep them from suffering the fate of the two MODs that have capsized already this season. On deck, they have added constrictor rope clutches to the gennaker tack lines in order to not have to go on the bow to open the t-bone loop holding the 3:1 tackling. As well, around the cockpit they have added diverter sheaves and camcleats on the fronts of the grinders and at each helm station for the headsail sheets. This puts them in easy reach of the helmsman while on deck alone. Virbac 70 was trialling a system (before her capsize) that included a 2:1 jibsheet of much smaller diameter, which would allow a much easier and more controlled ease of the jib in the event of sudden gusts. In safety terms they have come up with one-line ‘failsafe’ to prevent any more capsizes; they now have a single line to pull to open the valves for both the mainsheet and rig transfer hydraulics, so that if they pull the line at the helm, the mainsheet eases, the canting rig transfers to leeward, and the valves remain open (easing) until the system is physically reset in the cockpit under the roof. It’s taken a couple of high-profile tips to get it working, but this system should make capsizing a much less frequent occurrence for the MOD. They have also added a 350 liter water ballast tank in the transom of each boat, in the interests of keeping the bows out. Unfortunately this might encourage the teams to push harder downwind! They have also added curtains around the roof and repeater nav screens to the inside of the roof, allowing the skipper not driving to “live” under the roof and be in closer communication with the guy on deck. The match race between Gitana and Oman Air will should be worth watching. 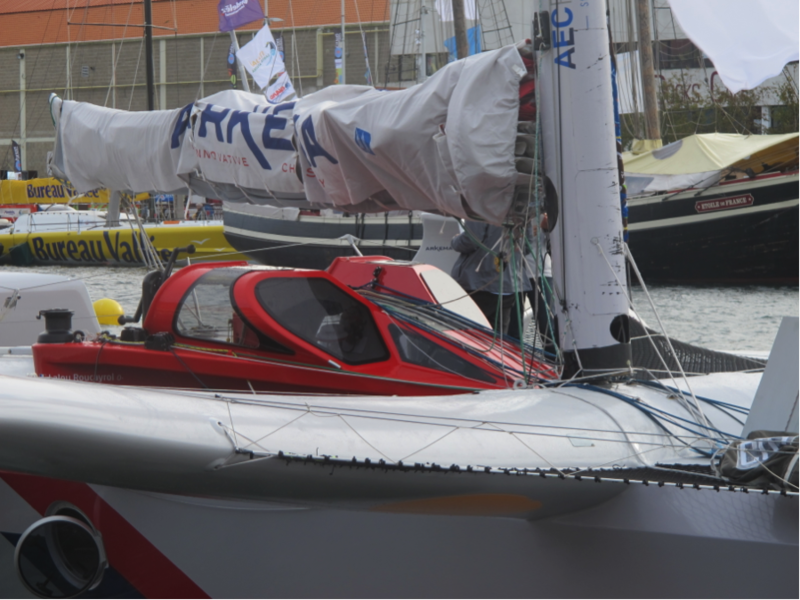 There are a wide variety of designs in the class, mostly from VPLP, with the most recent boat being an interesting looking and quick design from Neyhausser/Verdier, Region Aquitaine/Arkema. This boat won this years Route des Princes, and its notable features are a complete lack of foredeck forward of the front beam, and a crazy looking, but probably very protective roof. The foredeck is replaced by a net going from the bow pulpit to the front beam, with the hull coming to a point under the net with lashing connections for the headstays.